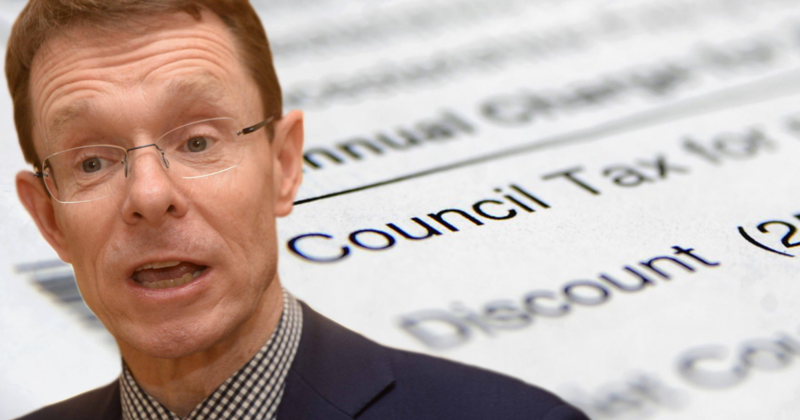 A leading UKIP politician has condemned the council tax hike being imposed by West Midlands mayor Andy Street. The precept designed to raise £8 million – equivalent to an extra £12 a year on a Band D property - will hit hard up council tax payers in Birmingham, Solihull, Coventry, Wolverhampton, Dudley, Walsall and Sandwell. And when added to the other precept increases planned for Birmingham, Band D householders in the city will be paying almost £100 a year extra. West Midlands UKIP MEP James Carver said: “Whilst I acknowledge Birmingham faces more massive Government cuts and, therefore, needs to raise more money locally, the added cost of the extra layer of bureaucracy created by the West Midlands Combined Authority and its mayor is not value for money. “£1 million of this precept will help fund the operational costs of the mayor’s office, with roughly half paying for around 10 staff and the rest on policy work and commissions. With the other £7 million he thinks the conurbation’s congestion will be solved with more cycle lanes and more park and ride car parks at railway stations. I have my doubts. “We in UKIP opposed the added bureaucracy, cost and reduction of local democracy which combined authorities would create. There is no reason why such investment could not have gone to the metropolitan councils.